Removal of the centre supporting wall in this home created an open space for entertaining, as well as providing a beautiful view down to the river. 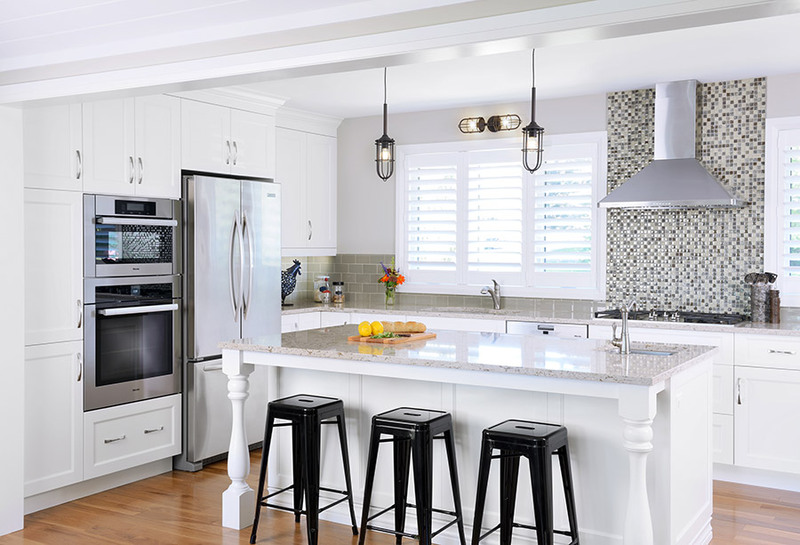 For this project, Monarch designed and installed Miralis cabinetry and Cambria countertops, and found just the right spot for the appliances on the remaining wall space. 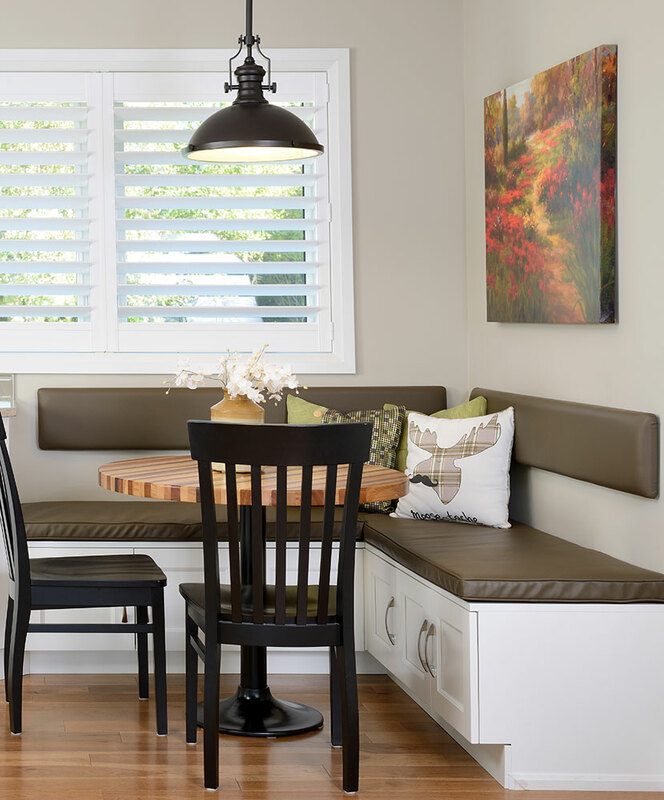 With seating at the island and a custom banquette, this kitchen meets this couple's everyday needs, while giving them a sophisticated, open space to entertain in style. 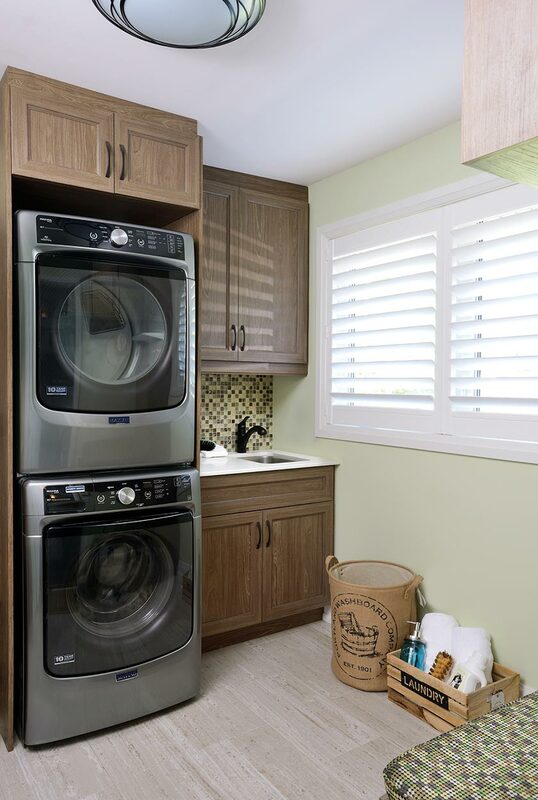 More than just a laundry room, this space was designed to serve many different functions. 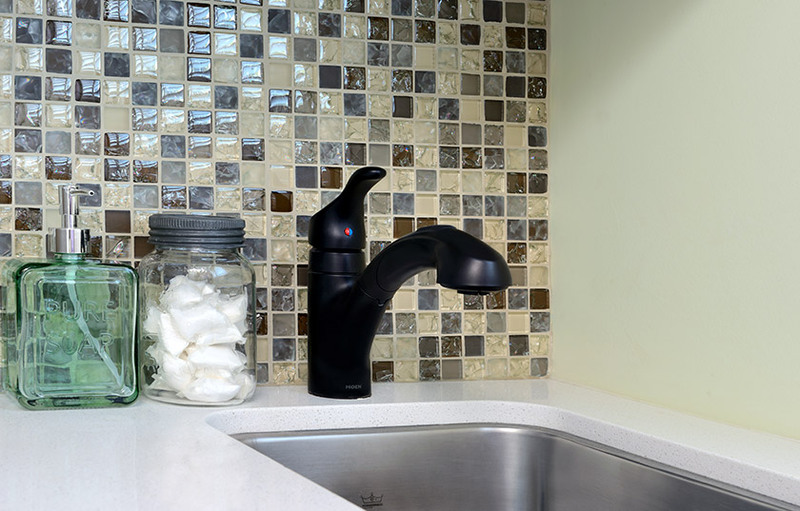 The washer and dryer were stacked to create extra storage and allow for additional counter space around the sink. 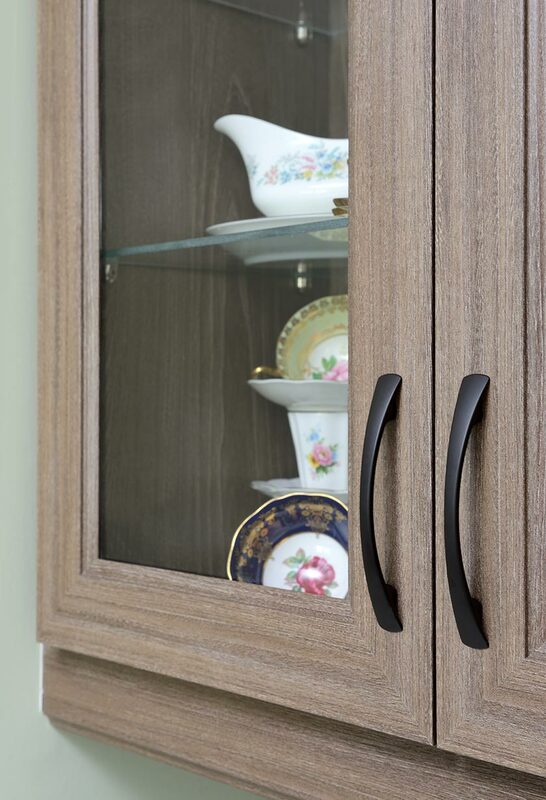 Since the open plan of this home didn't leave room for a traditional buffet and hutch, glass cabinetry was installed to display the homeowner's collection of china, with extra storage for serving pieces provided below. 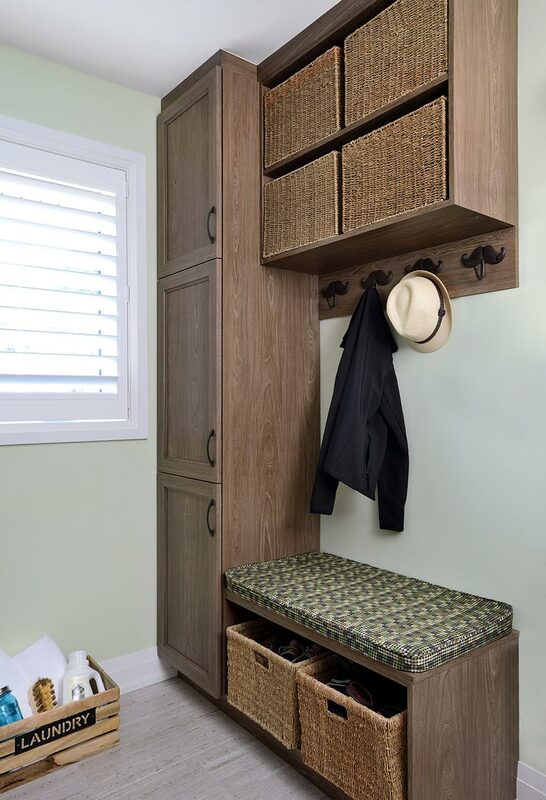 This multi-functional space also serves as a mudroom, with a stylish nook to sit and put on shoes, whimsical hooks to hang items in a hurry and baskets for shoes, hats and gloves. 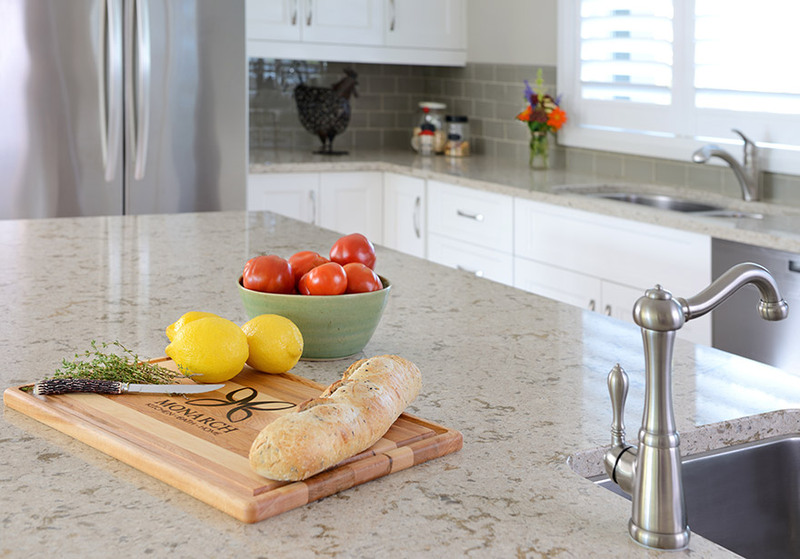 "We have been very pleased with our kitchen and laundry room from Monarch. 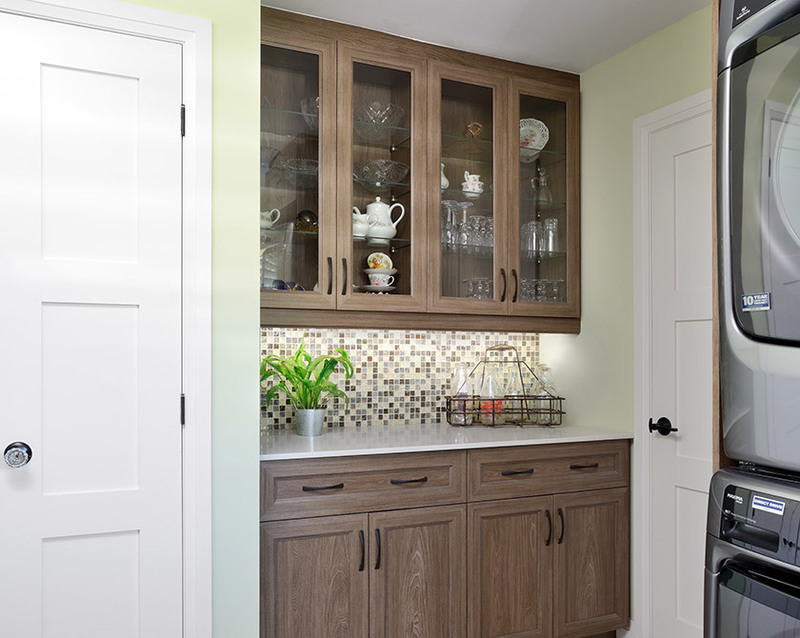 We recently did a major remodel on a 1950's bungalow and had a difficult kitchen and laundry room to work around. 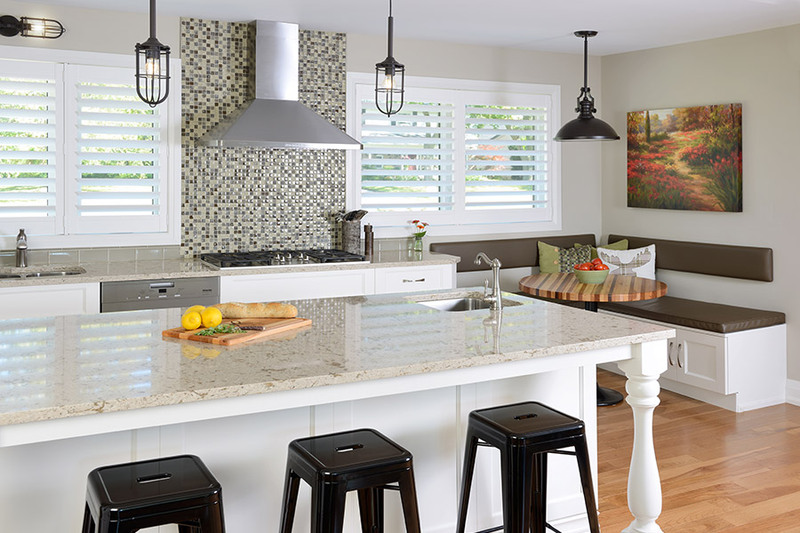 When we met with Jackie, she was quickly able to 'connect the dots' and came back with an amazing layout and colour configuration. 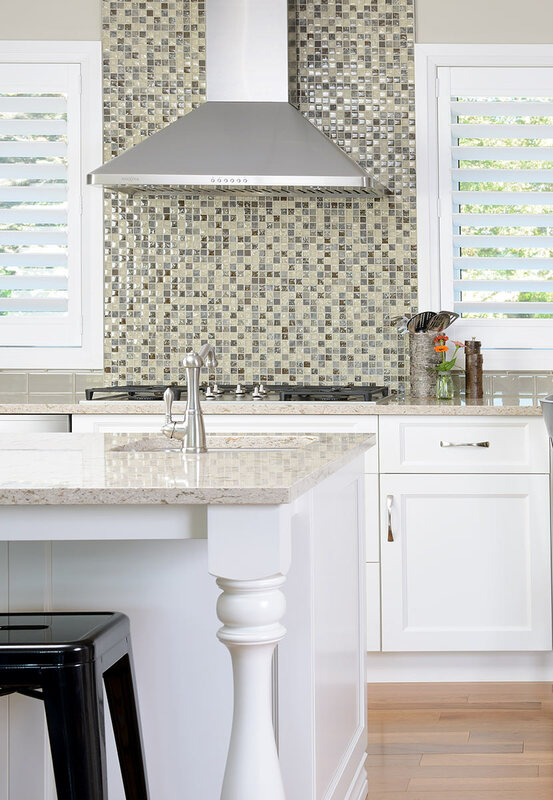 We were able to work as a team to finalize our wishes and achieved an amazing layout." "Once the layout and style were selected, Neil (the owner of Monarch) came by to verify the final measurements. This ensured no 'hiccups' in the process down the road and everything fit perfectly! The whole Monarch team was a pleasure to work with. 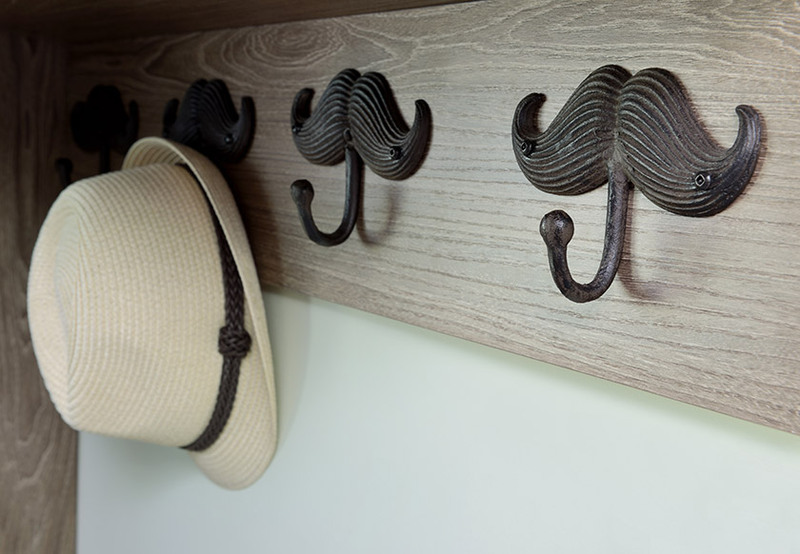 They were accommodating when we ran into construction delays, did the install with no issues, showed up on time and completed the project on time and on budget." 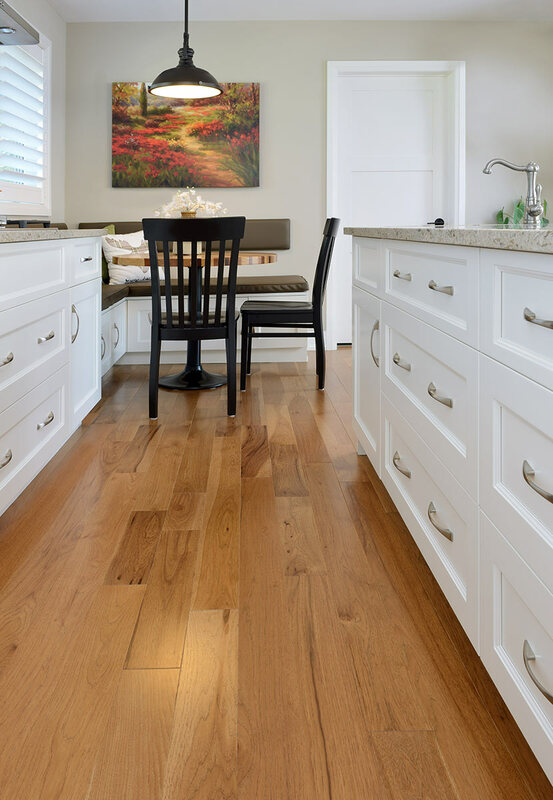 "Remodels of this nature are nerve-racking, but the 'Monarch Team' was one of the best subcontractors we had during this renovation. We would highly recommend them to others!"